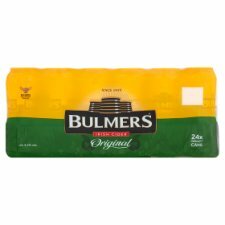 We take seventeen varieties of fresh apples to create the unique taste of Bulmers Irish Cider. Patiently vat matured among the orchards of the Tipperary countryside. Bulmers has a crisp refreshing flavour and natural authentic character.